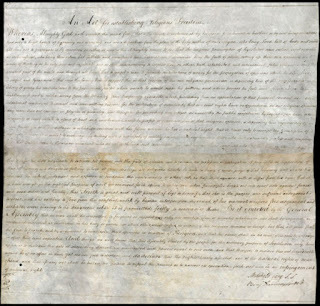 This year, [September 2012] for the first time, visitors will be able to see what is sometimes referred to as the “fifth page” of the Constitution—the Resolutions of Transmittal to the Continental Congress. 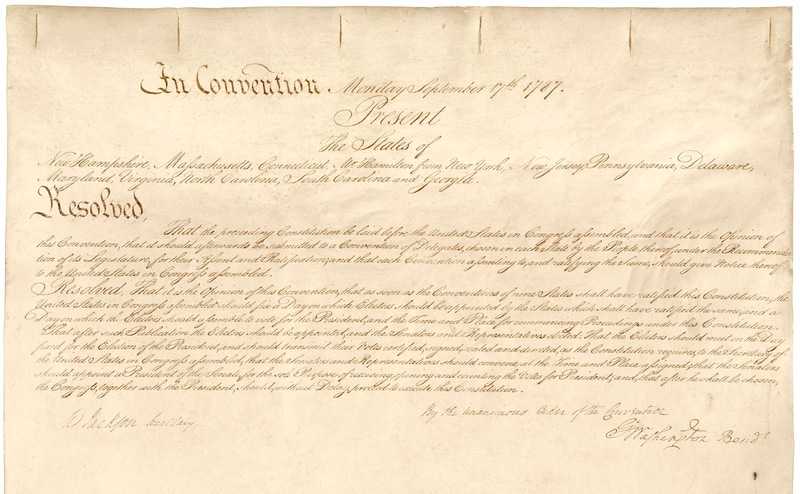 A special display for the 225th anniversary of the Constitution in September, will feature this document. “It’s up there with the Constitution in terms of value,” says curator Alice Kamps. This process was carefully devised to ensure that the authority of the new government came from the people. 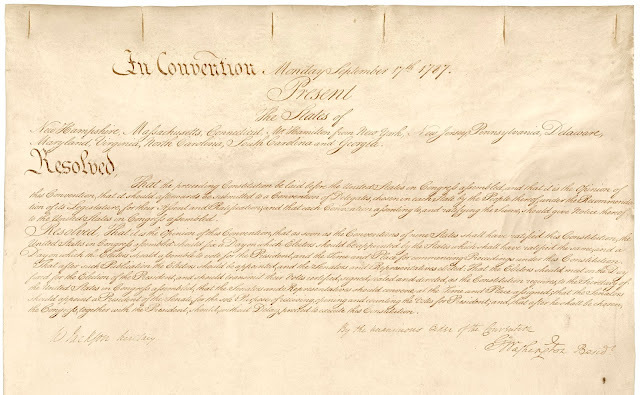 Without the resolution, the Constitution, in the words of James Madison, “was nothing more than the draft of a plan, nothing but a dead letter, until life and validity were breathed into it by the voice of the people.” [National Archives Blog]. It is obviously impractical in the federal government of these states, to secure all rights of independent sovereignty to each, and yet provide for the interest and safety of all: Individuals entering into society, must give up a share of liberty to preserve the rest. The magnitude of the sacrifice must depend as well on situation and circumstances, as on the object to be obtained. 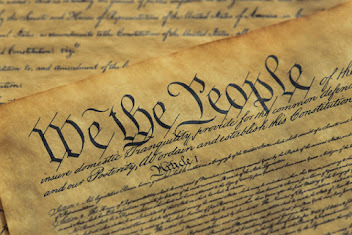 It is at all times difficult to draw with precision the line between those rights which must be surrendered, and those which may be reserved; and on the present occasion this difficulty was increased by a difference among the several states as to their situation, extent, habits, and particular interests.